Banksy Parking Girl Swing first appeared on Broadway in downtown Los Angeles in 2010. Here is a parking lot. It is utilitarian, and ugly, located along a downtown city street. The piece is in a commercial area, with business offices surrounding it. A park would be a vast improvement over the current land use. It would be a place where children could play, and would liven up the neighborhood quite a bit. Parking Girl Swing can be considered a commentary on the urban landscape. 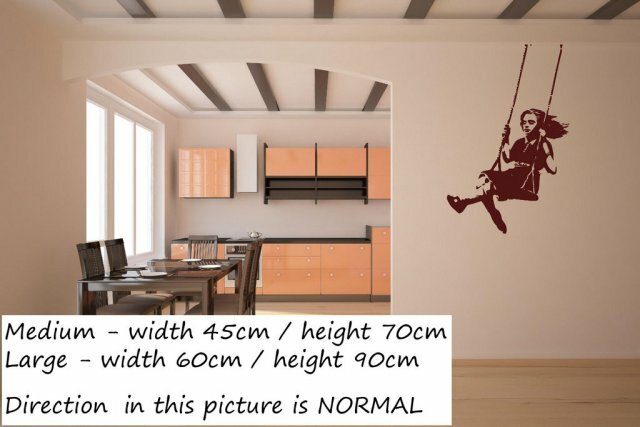 This well thought through artistic message would greatly enhance any interiors. This design can blend beautifully into a staircase wall or create a perfect feature wall in your living room. 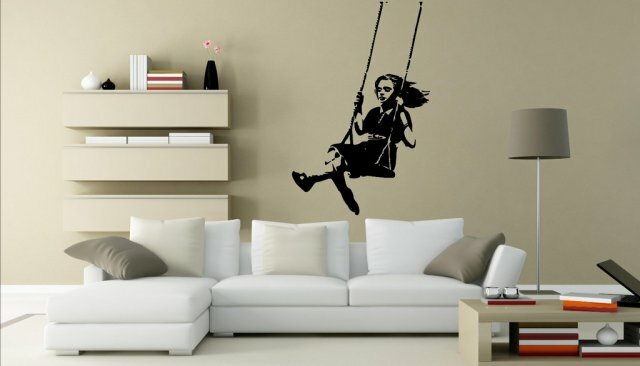 Our swinging girl wall sticker creates a great story upon a wall with its motion movement. 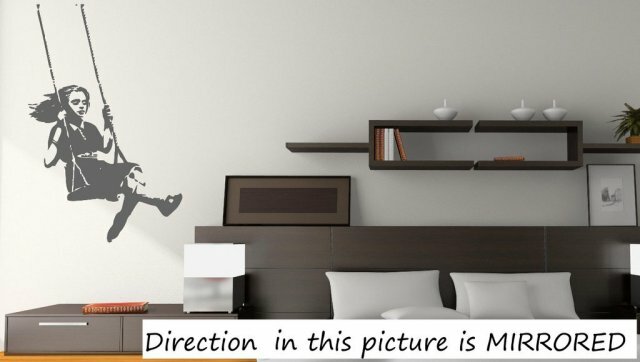 Add fresh energy, soften your interiors with this beautiful designed wall decal. Choose your preferred colour and size.